The UT men’s basketball team and head coach Richard Schmidt are determined to rebound. Schmidt is entering his 34th season with the Spartans, but his team will be looking to flip the script after finishing a underwhelming 9-18 last season, while going 4-12 in Sunshine State Conference (SSC) play. In fact, last season marks only the fourth under Schmidt where the Spartans haven’t finished with a winning record. This season, the Spartans are emphasizing practice and preparation as their primary tools for improvement under Schmidt’s tutelage. On the court, Schmidt hints that the additional experience on the team can assist them in upgrading multiple facets of their game. In SSC play, five of the Spartans 12 losses were by a margin of six points or less. Three of those games were decided by one point. Therefore, Schmidt hopes that his returning players can turn those games into wins this time around. Last week, the Spartans were ranked sixth in the latest SSC preseason poll. 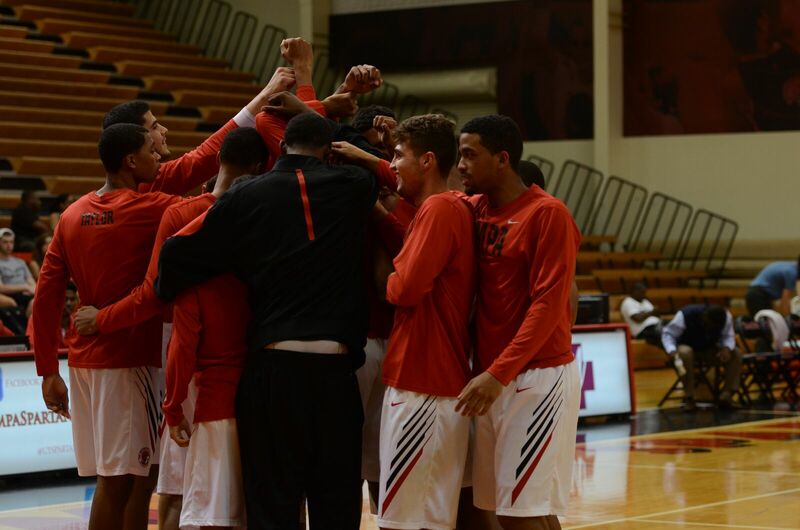 Notably, Barry University was selected to win the conference after receiving 57 first place votes despite losing to Eckerd College in last year’s SSC Championship Game by a final score of 87-84. Nevertheless, Barry ended up making a deep run in the NCAA Tournament last season before falling to Lincoln Memorial University (Tenn.) 93-75 in the Elite Eight. However, preseason polls are known for being deceiving at times. Schmidt also mentions how the influx of Division I (DI) transfers adds onto the difficulty to the voting process. Schmidt discussed how Barry, had five DI transfers in their starting lineup. Additionally, he noted that if a DI player wanted to transfer then they’d have to go through a redshirt season. During a redshirt season, a student-athlete has to sit out for a academic year due to their ineligibility as a transfer student. Thus, according to Schmidt, players make their way to Division II in order for them to not be declared ineligible to play right away. The Spartans open up their regular season tomorrow at the University of North Alabama at 5:30 p.m.